I’m in a mild panic. 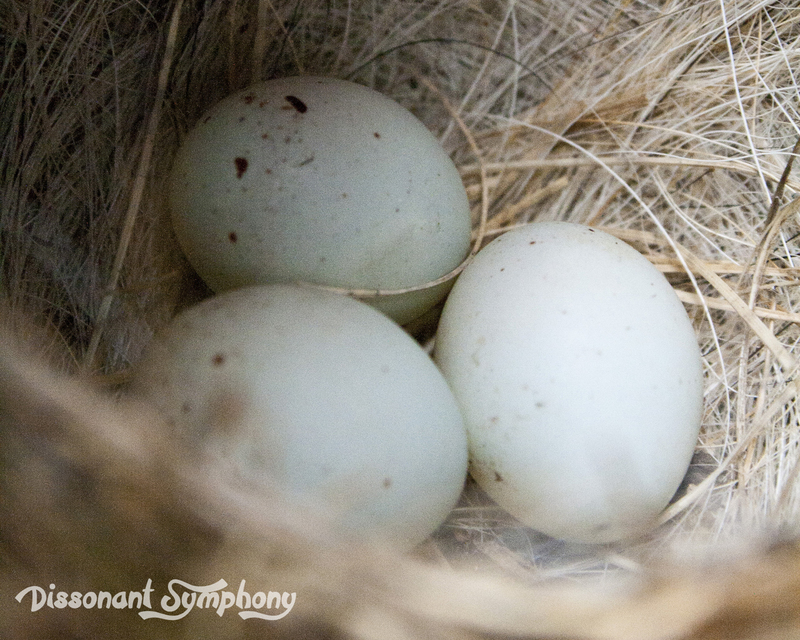 There are no new eggs in our nest today and I’m wigging out slightly that taking pictures yesterday has scared the momma bird off. Why do I feel so worried about this? I mean, in the grand scheme of life, this is not a big deal. So why am I wracked with guilt? My only calming thought is that although the outside of the nest is wet from the rain last night, the interior is still nice and dry. 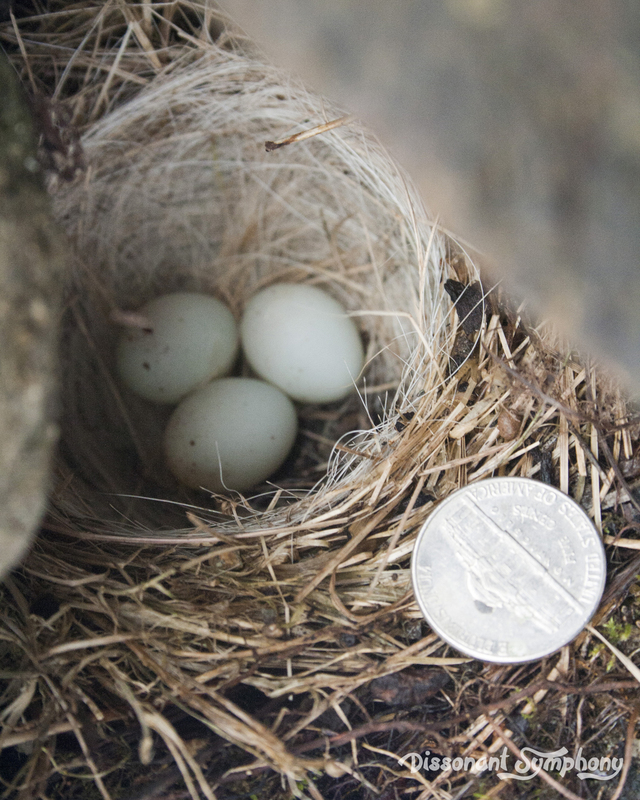 That’s got to mean the momma was on the nest overnight…right? Ahhhgggg. Just two quick pictures today – one with a nickel to show some size comparison. Now I’m off to read my Bible and pray desperately that there’s a new egg tomorrow so I don’t have to explain to my children that Mommy ruined a little birdie’s family.